One of my favorite cars from the 84th Geneva Motor Show must be the new Twingo. 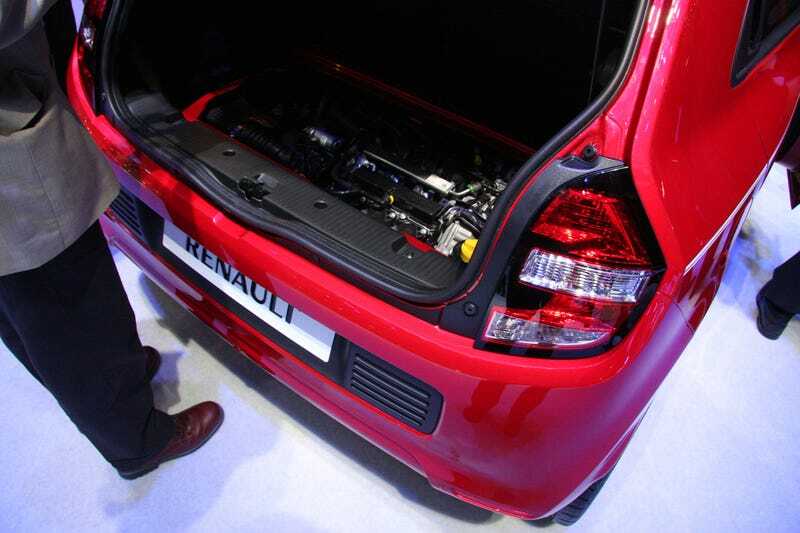 It's got a hidden engine in its boot which powers the rear wheels. That's pretty much the perfect recipe for an agile compact, but it's also unusual nowadays and different doesn't always sell in the automotive world. Corollas do. Renault deserves a massive thumbs up for this, and I can only hope many will share the love. Don't forget, what you're looking at is also the base for the upcoming four-door Smart. Exhibit 2 must be the new Citroën C1, which a certain American journalist called "the ugliest little turd". It's not, and the craziness stays within the family as the new Aygo also got some Chemical-X. Both look great in person, so don't hold back those Euros. Now, is that going to fail and fall apart after a few summers and winters on the street? I don't know. Do Citroën know? Unlikely. And when it falls apart, buyers will call the French surrendermonkeys again and buy a VW. They've been there, done that.